The multiplex theatre, the Cumberland Four, was located at 159 Cumberland Street, a short distance east of Avenue Road. Opening on December 11, 1980, it was operated by Famous Players Corporation. Its concrete facade was modern, the geometric shapes providing a degree of elegance. It contained four auditoriums, which were long and narrow. The floors in them sloped gently toward the screen, but unlike theatres today, none of them had stadium-style seating. Patrons descended a long escalator to enter the lobby, which contained the ticket booth and candy bar. Two of the auditoriums were on this level, and another steep escalator led to the lower level, where the other two were located. The confection counter was small, by modern standards, but as the theatre was located in one of the best dining areas in Toronto in that decade, which included Hazelton Lanes, many people attended a chic restaurant either before or after the theatre. I remember attending the Cumberland Four many times in the 1980s and considered it an intimate venue with comfortable seats that had cup holders. The screens were not as large as in other Toronto theatres, but were quite adequate. The rumble of the Bloor/Danforth Subway was audible before a film commenced, but I never noticed it after the soundtrack of the movie began. I always enjoyed attending the Cumberland Four, finding it convenient to visit as it was near the Bay Subway station. In 1976, the Festival of Festivals was founded by Bill Marshall. In 1994, it changed its name to the Toronto International Film Festival (TIFF). 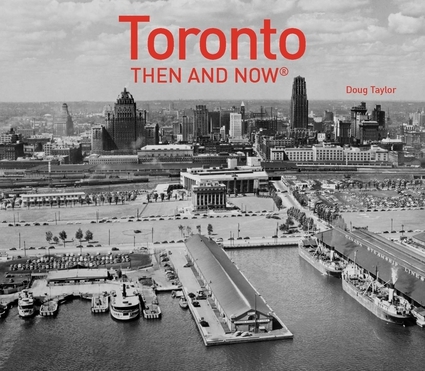 For many years, it centred primarily on the Bloor/Yonge (Yorkville) area. Loew’s Uptown and the Town Cinema were two of the festival’s venues. After the Cumberland Four opened, it became another theatre used by the festival. During the remainder of the year, it mostly screened foreign, indie, and limited-release films, but also some Hollywood hits. As the years progressed, the Cumberland Four competed with the Bloor Hot Docs, Carlton Cinemas, and eventually the Bell Lightbox. These venues often screened the same type of films as the Cumberland Four. Attendance at the Cumberland Four gradually dwindled as more patrons attended the other venues. Reading comments posted online about the Cumberland Four, I learned that many people felt that during the theatre’s latter years, it attracted too many “off beat” and weird characters. I did not attend the theatre much during this period, so I cannot comment on this phenomenon. When Cineplex announced that the theatre was to close after over 30 years, feelings about its demise were mixed. Some were glad to see it go, while others lamented its passing. The final film screened at the Cumberland Four was at 7:30 pm on Sunday, May 6, 2012. The site became another outlet of Nespresso, a Nestle-owned luxury coffee shop. Lobby area of the Cumberland Four, photo by Tara Walton, the Toronto Star (www.thestar.com). Escalator leading up from the lobby. Photo by Tara Walton, Toronto Star (www.thestar.com).